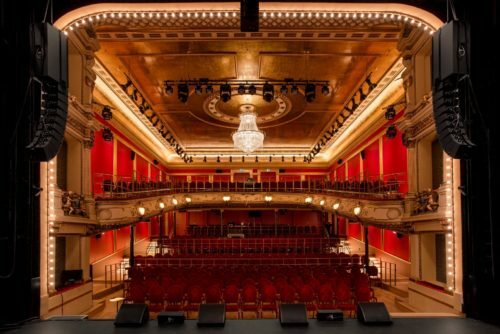 When a major Swedish theatre closed, following the sale of all the property around it, it took a very innovative solution to ensure that it could reopen. 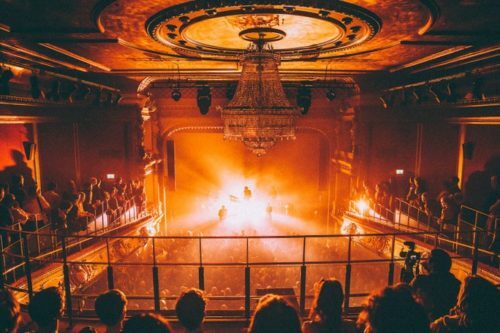 To complement the brilliance of the rebuilt venue’s design, an equally brilliant audio system was needed. Alcons was the obvious choice. 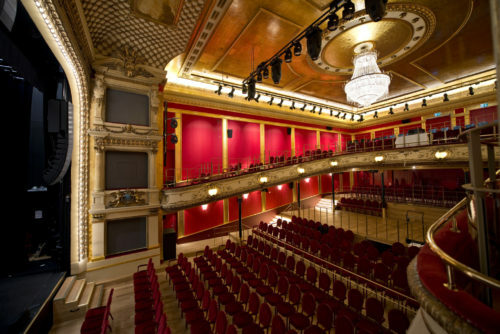 First opened in 1887, Stockholm’s Vasateatern built a reputation as one of the country’s most popular venues for comedies and farces. In 2010 the 1000-capacity theatre closed as Scandic Hotels began transforming the surrounding block of buildings into its new flagship hotel, the Scandic Grand Central. The theatre had always suffered from problems with sound leaking to the adjacent properties so, when the new hotel first opened, it remained closed. With plans to overcome the acoustic issues made more difficult because the building is protected, a novel solution was eventually found. This was to carefully dismantle the theatre’s interior and rebuild it on a slightly smaller scale, making space for a sound insulating air gap around the rebuilt auditorium. “When I talk to promoters, agents and artists they say we have the best sound quality in Stockholm for venue this size,” Samuel Laulajainen, Scandic Hotels. The new ‘floating box’ Vasateatern features most of the original fittings, but with modern acoustic materials, flexible seating and a brand new Alcons LR7 audio system. Together, these improvements have made it a much more versatile space and turned it into one of the best-sounding theatres in Sweden. Leading Swedish systems integrator Electrosound has done the sound design and installation at a number of Scandic hotels, including the Scandic Grand Central complex. When it came to equipping the theatre, an Alcons LR7 system was the perfect choice. This includes a main PA of 20 flown LR7, two flown QB363 bass units, four ground-stacked BF302 MK2 subs and a flown centre cluster of three more LR7. Two Alcons SR9 and two more QB363 take care of mid-high front fills, with two VR12s for stage fills. Eight more SR9 cover the under-balcony seats and 16 CCS8 are used for a surround system – largely for sound effects, but available for use with movies if needed. The system is powered by Sentinel3 and Sentinel 10 amplified loudspeaker controllers. All audio is distributed over a Dante network, mainly by a Bose ESP system and TiMax T2 surround effect processor. A Focusrite Rednet D16 seamlessly interfaces between the Sentinel units and the Dante network, also taking care of incoming AES connections.